BRYAN EATON/Staff photo. 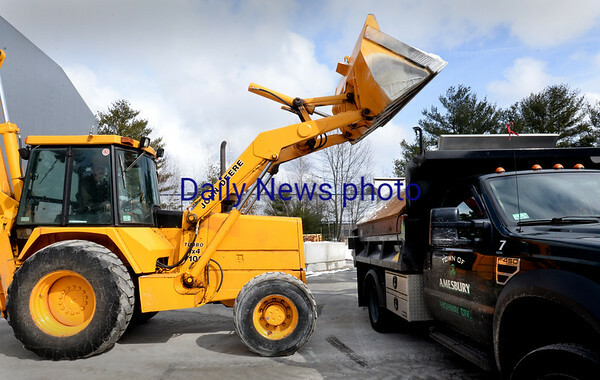 Martin Hedberg moves a bucket of salt to a sander driven by Toby Haggett as the Amesbury DPW prepares for Tuesday's storm. By most forecasts, over a foot of snow is predicted for the area.